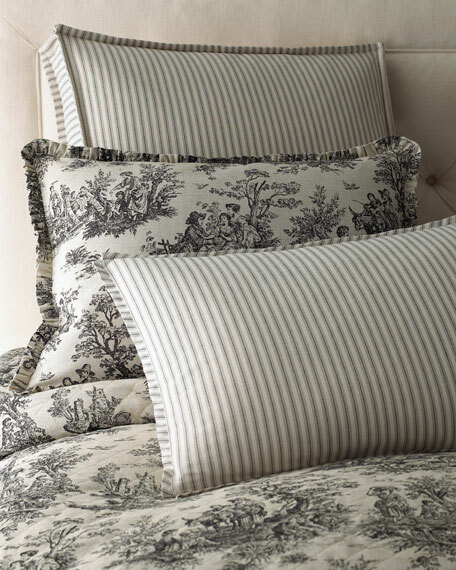 Corner-pleated with flat piping has synthetic-pearl button closure and a ruffled 30'' drop. Add extra loft with polyester fillers (sold separately). 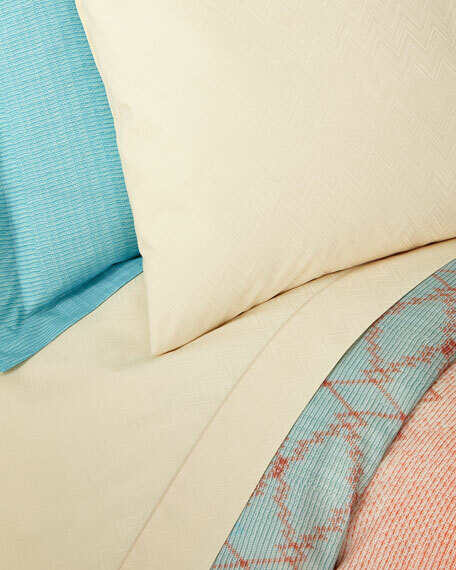 Coverlet made of linen; reverses to cotton. 26" x 26" with 3" gusset. 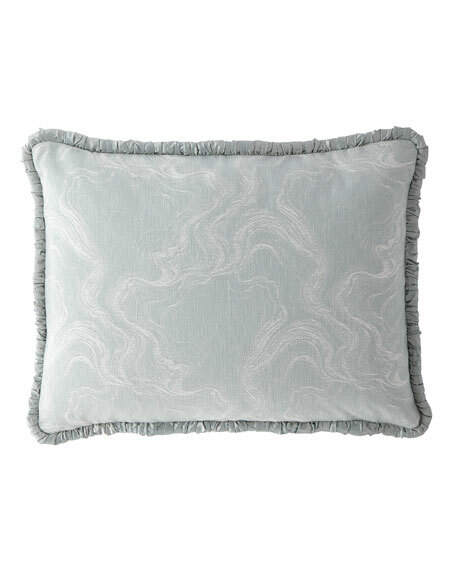 Legacy Sydney Square Toile Pillow with Piping, 18"Sq. 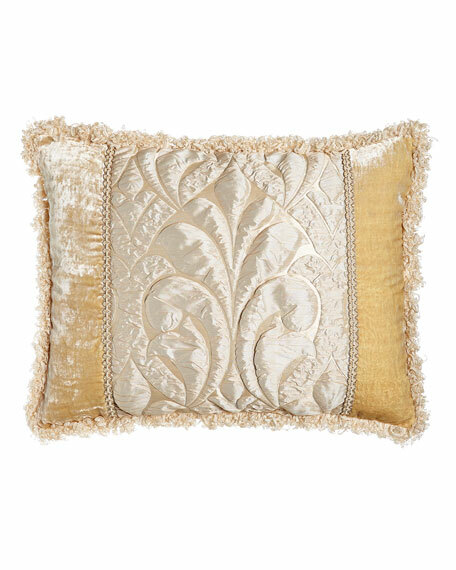 Pillow with piping made of linen. 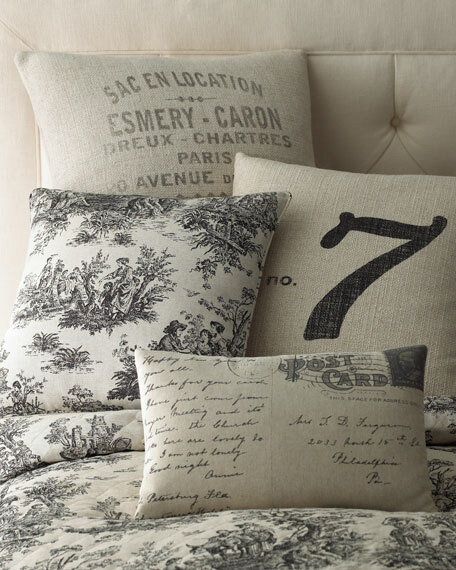 Toile bed panel made of linen. Gathered dust skirt made of cotton. Comes in three panels and has an 18'' drop. 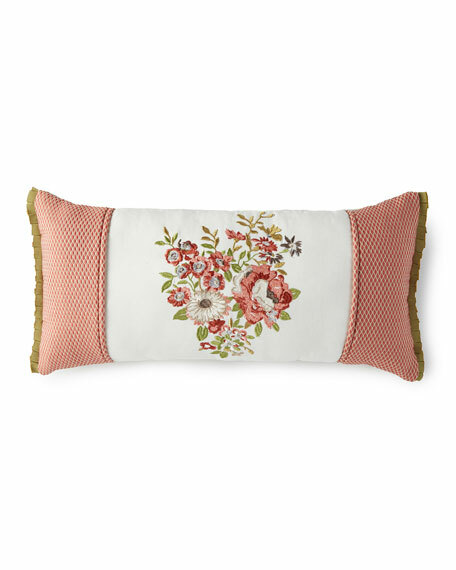 Rose Tree Lorraine Pillow, 11" x 22"
Pieced throw pillow with a centered floral embroidery on a cream ground. Mini diamond woven sides. Flat pleated grosgrain ribbon on ends. Hidden zip closure. Face solid and back: cotton. Woven pattern and fill: polyester. Imported.